WANT THE WEB'S MOST EXPLOSIVE TREND EXPLAINED IN A WAY THAT ACTUALLY MAKES SENSE??? Do You Effectively Use Google+? If you answered yes, congratulations. You are officially ahead of the curve and ready to reap the benefits as Google+ continues to skyrocket in popularity. If you answered no, then please read on. I am not asking for myself, I am asking for you. You should not ignore the latest web phenomenon. Imagine you had been building fan page followers since the start of Facebook. Imagine that you had been reaping followers in the early days of Twitter. Could you imagine dominating your niche on either of those MASSIVE networks? In a couple of years from now, you don't want to be saying 'I wish I had gotten on the bandwagon earlier". That is what you are going to me wishing, if you do not listen to me now. It might sound harsh, but it is true. There is no excuse not to tap into the power of Google+ TODAY. There are only benefits! Beat your competition to it! The key to Google+ success is to start using it now! Get in before the general public does. How do You do That Quickly and Easily? Well, you sit back and leave the heavy lifting to us. 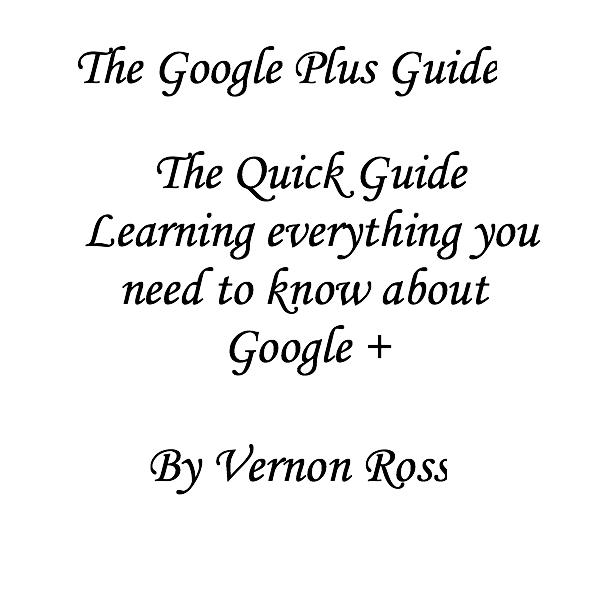 We created a guide that will help you instantly tap into the power of Google+.